We are doing something new over here which are web drama recaps. 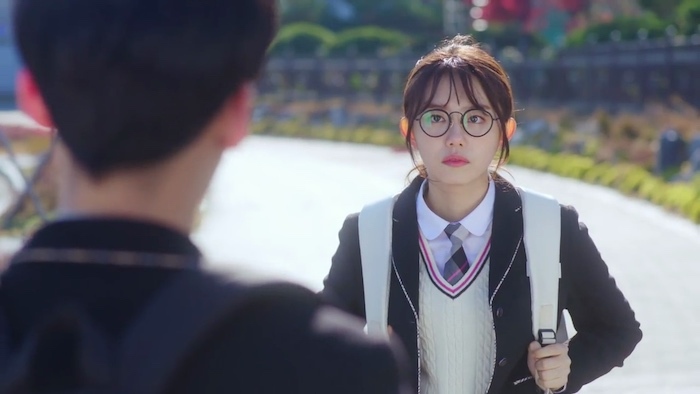 We really liked doing the Last Minute Romance web drama recap back in October/November of 2017, so we thought we would continue web drama recapping in 2018 with whatever web dramas strikes our fancy. 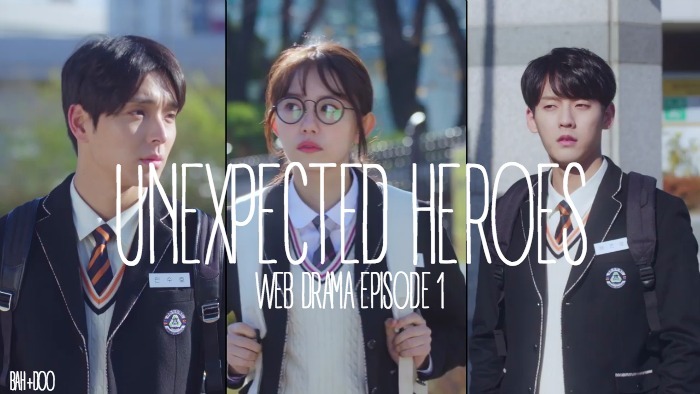 We settled on Unexpected Heroes (or Accidental Heroes) as our first web drama of the New Year. So far, this drama is pretty cute and well shot. Cinematography gets me every time, y’all. 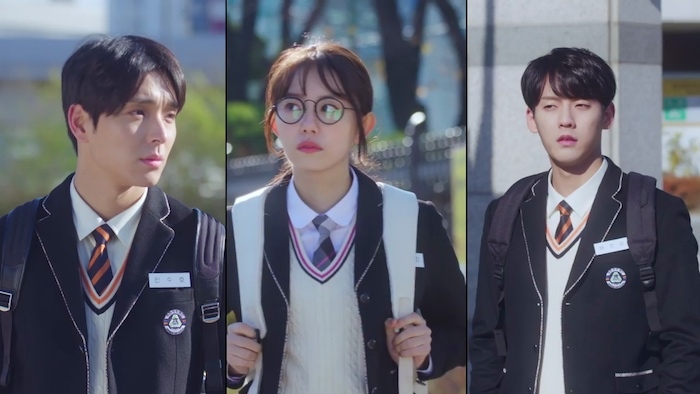 Accidental Heroes / Unexpected Heroes is a web drama about three high school kids who receive organ transplants and obtain superhero abilities through these transplants. So of course you know they start solving crimes and saving the day, how could they not! 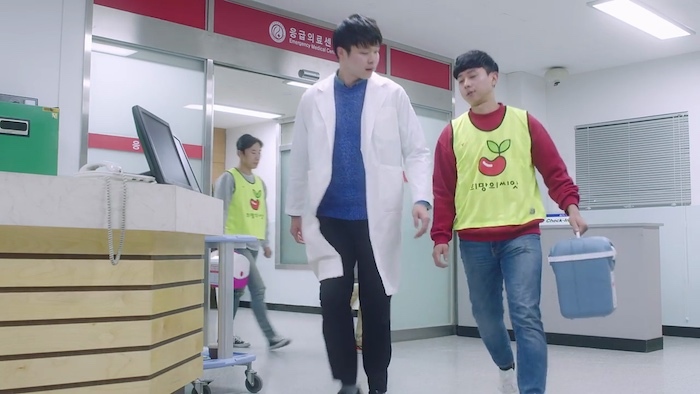 It has two main sponsors, one of them being the organ transplant society of Korea, so this drama is part public service announcement, which I can get behind when done right. We’ll be dishing these recaps out each day so stick around if you like them. A car is driving down a dark road. It is night-time and its lights are on. The car is a white SUV and a man gets out of the car with a flashlight. 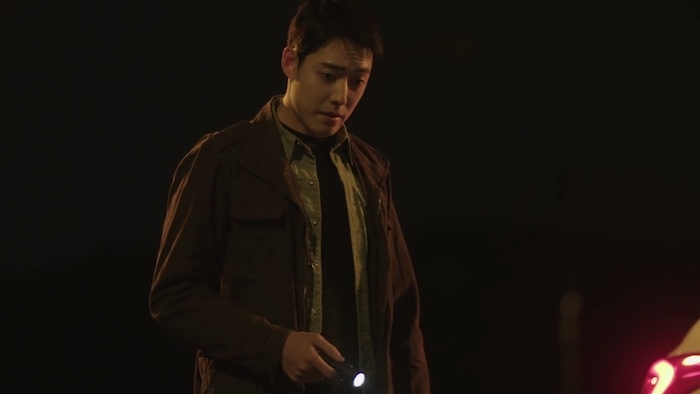 He is looking around and pointing the light on the ground. 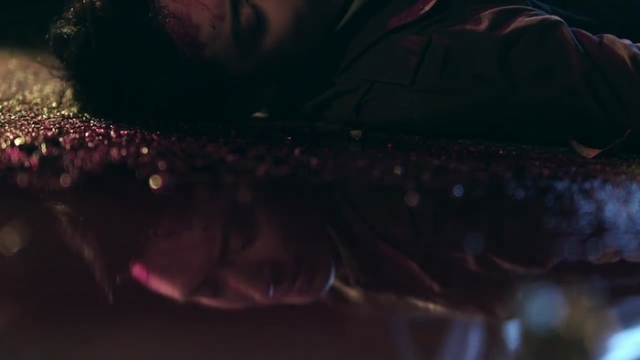 He sees a lot of broken glass or broken something on the ground so he immediately pulls out his phone and tells someone (or perhaps a recording) that this is a crime scene. He has found some evidence of when the crime happened. He kneels down to get a closer look and sees something (a coin? Ring?) that has what looks like a skull or pirate symbol on it. But a car suddenly comes from behind him a revs its engine. 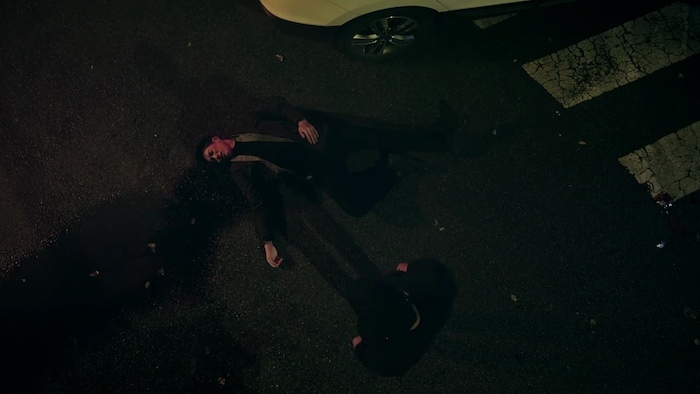 It hits him and he is left bloody on the ground. The person in the car walks up to him. It is a man and he kneels down, I guess checking to see if the man is still alive? The bloody victim grabs the perps hand. Cut to the hospital. The doctors say that this is a car accident patient. 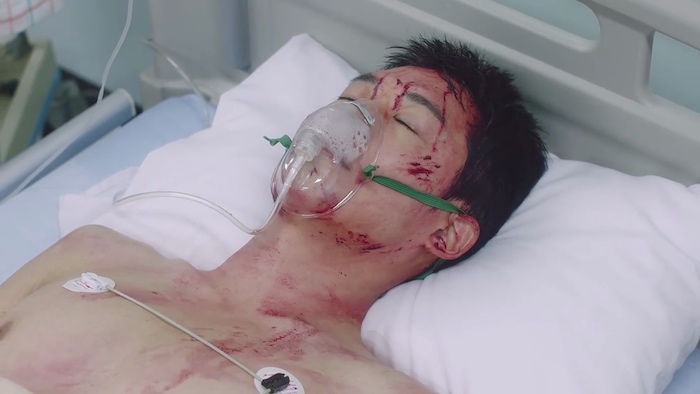 The patient bled a lot and is unconscious. A woman named Dr. Noh comes up and says she will check him. 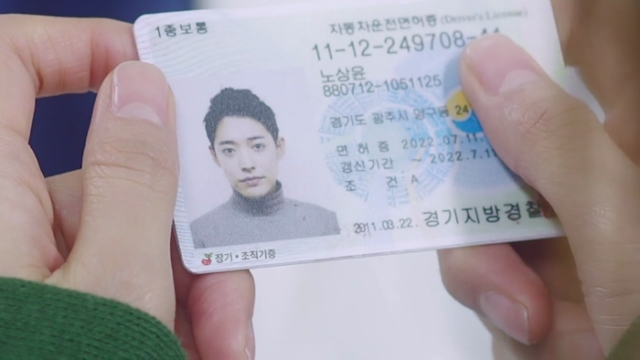 But she is handed his license and recognizes him as someone she knows. She runs to him and collapses on the ground crying. But she manages to stand and cries over his bed. Cut to the doctors telling her about him. His heart functions, but there is no brain activity. They should call his family members, but she says that she is his only family. It is March 25, 2:15 am, Noh, Sam-young, brain-dead. She says that 9 am tomorrow morning, after checking with brain death and brain wave function, they will open a counsel for brain death and start to harvest the organs for transplantation. 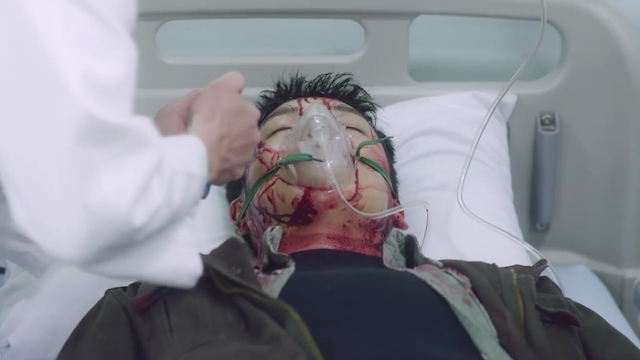 The doctors leave and Dr. Noh breaks down and cries over her brother(?). 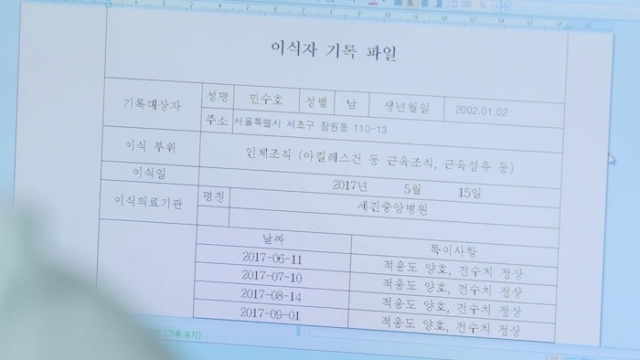 It is the next day and all the doctors signed the document. There is a montage of doctors calling all the patients who need body parts, they pray over the donor and start the harvest. Dr. Noh sits outside with her hands together and prays. Please, you always have a way in front of your feet. The saddest day I will experience in the future is a better day than the happiest day I have experienced at this point. The wind always blows from behind your back. Your face has sunshine. Hopefully, God is always next to you. We get our first look at the three super heroes who are prepped and ready for the surgery. 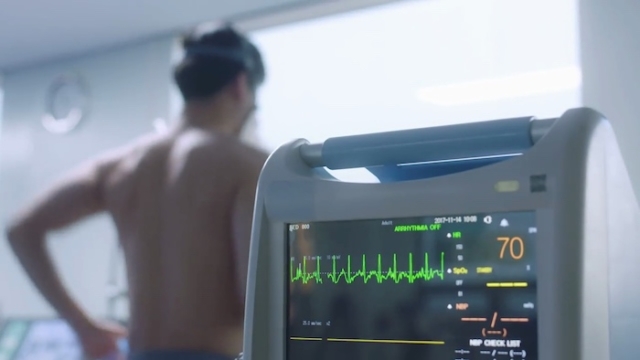 A young man is running on the treadmill, but his heart rate is only 70 bpm. Another young man is lifting weights, almost like he is superhero strong. Another woman has super eyesight. The doctors are shocked. 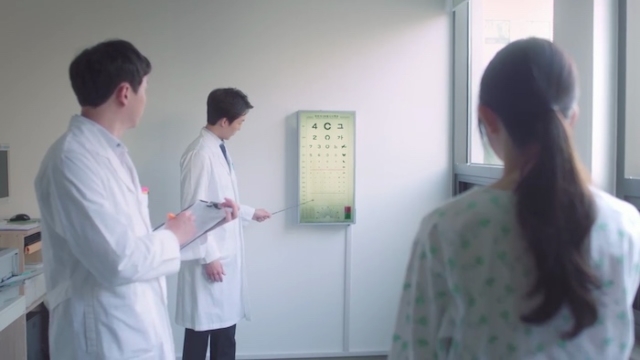 They say that they can’t measure the girl’s eyesight because it is so good. They have no instrument to measure it. They mention that some Mongolian people have amazing eyesight like that. They also mention that Joon-hyung, one of the men, has a super heart, he can maintain his calmness no matter what happens. 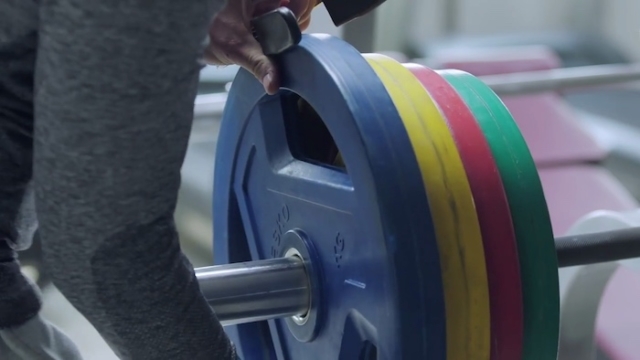 Min Soo-ho is super strong and can win an Olympic gold. Dr. Noh wants to know what happened and the other doctors say that this might be temporary, but they are happy to her brother for saving three people’s lives. Dr. Noh tells the teenagers parents that they just need to observe the kids a little longer. She said she wants to take care of them because they are like her family. 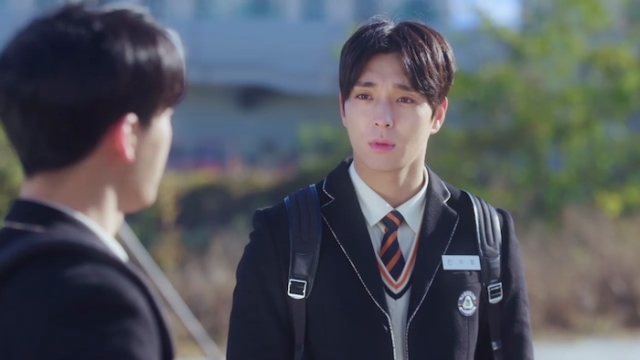 A parent drops his kid off as a transfer student at a school and Min Soo-ho (the super strong one) tells his dad that he will be fine and to just leave. We see the three kids all walk up to each other and some superhero music starts to play. So far so good. The initial set up was very spooky, but once we got to the kids it started to get lighter and the mystery of their super hero conditions is established. 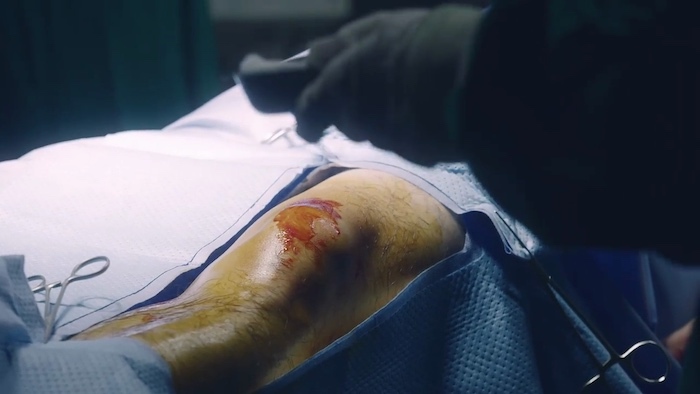 I am assuming that whatever was transplanted is the super hero ability that they received which is intriguing. 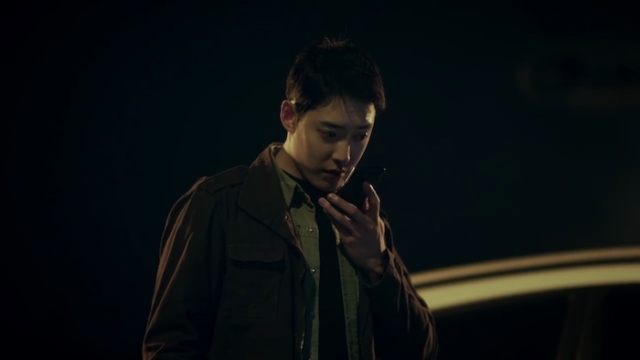 I like the way this drama is shot as well. It has a clean look almost like there are no dust particles at all in this world. 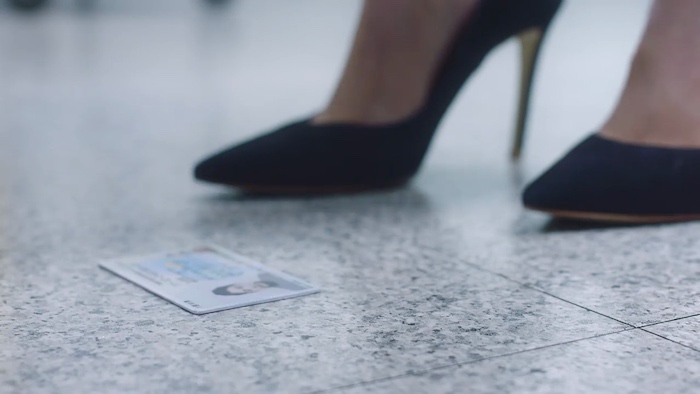 I know that sounds weird, but this drama just has a really clean almost sanitary look to it. Kind of like a sunny morning after it rained all night. The acting is serviceable as well. 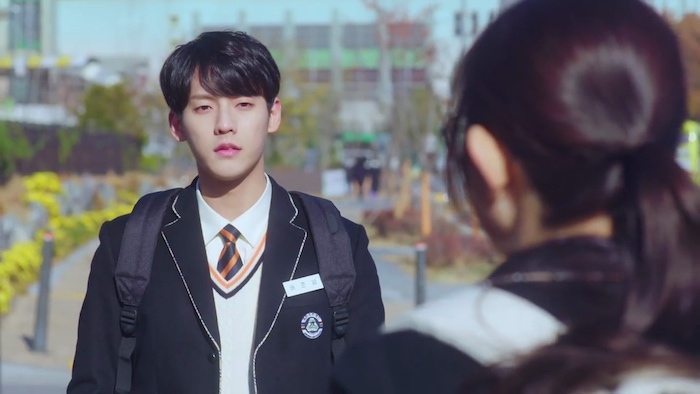 With web dramas you kind of have to give the acting a pass because it is usually a platform for new actors to work through their craft. I can appreciate that this is a time for young actors, writers, and directors to grow in their profession which makes web dramas a ripe platform to scout for new talent. I also love how writers and directors can take risks with web dramas. This might not be the case with this web drama (or it might, I don’t know), but it is the case with some other ones. Overall this is a pleasant start. I can see why it is a big hit on Naver right now.